It’s hard to believe it was three years ago that we went through the hype, insanity, and general hysteria over the launch of the Apple iPad, the first tablet computer to achieve wide success with the public. Do you remember those days? Nobody knew what it would be called, what it would cost, how big it was, or much of anything else. Now, iPads and their competitors seem to be everywhere. On airplanes, in the hands of the people helping you check into the hotel, mounted in vehicles for ready access by delivery and service people. The tablet has proven its utility in hundreds of ways for millions of people. And we’re now raising an entire generation of iPad trained, touch-screen sensitive kids, whose affection for the iPad seems to be universal. But the iPad has also always had limitation, some of which I’ve written about before. I acquired my iPad about a month after launch, and have been using it just about every day since. Most of the writing that has appeared on my blog since then started out on the iPad. Over time, the novelty wears off everything, and the iPad is no exception. I marveled at some of the ways magazines have moved onto the tablet but, to be honest, I don’t read many magazines, and the ones I do read tend to be printed on paper. Games? Who has time? Watching videos? Yes, the iPad is perfect for that, and for shopping and it’s not too bad for browsing. Viewing PDFs? Fantastic, and great to take to a client meeting to show samples, too. But most of my use of the iPad has focused on writing and mind mapping. I’ve used Writer for iPad almost exclusively, and it’s fantastic. For mind mapping, the iThoughts HD app makes the best use of the touch screen interface and is a joy to use. However, the iPad (at least my first-generation model) isn’t that fast, and it’s a horrible platform for text editing due to Apple’s insistence that you can’t use the keyboard (mine is an Apple bluetooth model) for any commands. When I thought about all the traveling I’m doing this year, I decided to upgrade to a laptop. This was pretty big for me, because I don’t own a laptop and haven’t since the 1990s. After doing some shopping, I settled on the smallest, least expensive MacBook Air, an 11″ model that costs about twice what the iPad costs. The biggest difference between these two devices is the operating system. Although Apple’s mobile operating system, iOS, has gotten better and better, it’s still the same one that runs tablets and phones. Everything is an app, the touchscreen rules, and you are basically single-tasking all the time. The MacBook, on the other hand, is a fully functional Macintosh, albeit in an incredibly small and light form. All my software runs on it, you don’t have to keep poking the screen to get something done, and multitasking is a given. The iPad weighs just under 2 pounds, while the MacBook Air weights 2 pounds 6 ounces. But the iPad needs accessories or it’s useless to me. As a regular writer, I need a keyboard, a stand to hold the iPad upright, and a pad under the keyboard because the little feet do almost nothing to damp the recoil and noise of the keyboard under serious use. At one time writers wrote, and somebody else did all the other stuff. What I’ve found over the past couple of years—and I’d be curious if this is true for you, too—is that as a blogger, a consultant, and someone who creates training products, I’m no longer just a writer. Sure, everything needs to be written, but it also needs to be edited. Trying to negotiate the WordPress interface, or a word processing program on the iPad is painful. Basically, everything takes much, much longer than it would on a regular computer. Now, as authors, we’re being tasked to do so much more, including marketing and expanding our ideas into other products and formats. So when my tasks involve editing, posting blogs, creating landing pages, working on a video, surfing lots of blogs to curate content, or doing maintenance on my blog, this move has been a great leap forward for my personal work. 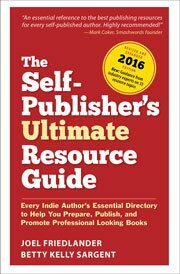 I’m heading to Chicago in a couple of days to give several presentations at this year’s IBPA Publishing University, then the next week to Denver for the Author U Extravaganza. I’m much more confident now that all that travel time will be put to productive use. And when I get there, I can run PowerPoint presentations right from my MacBook. I’ve got Writer for Mac now, so I’m at home on the laptop, although my touch screen mind mapping software will remain an iPad experience. As a writer, I feel more powerful, more connected, and more capable. It’s a whole new world. Have you made a big change in the tools you use to write? I’d love to hear about it. This article was helpful. I’m tired of schlepping my MacBook around or leaving it in my car and worrying about it being stolen. I’d love to have my computer in my purse at all times so I can get little chunks of writing and editing done whenever. As I head out of the country for a few weeks, would you suggest getting a slightly larger purse and getting a MacBook Air? I’m loving my Air, Sadie, so I say “yes” to that plan. I like the thoughts here, very cool. My article goes hand and hand with this one. For a workflow that starts by mind mapping and ends with a RTF or HTML I’d suggest this article I just wrote. This technique allows the actual writing to be done on iPad, iPhone or Mac. You can start on one and switch to the other seamlessly. This works good for me as I write some on my mac, then sometimes get stuck away from my mac and want to add a bit more. As you mentioned, Joel, so many functions require a special app.It can take a long time to get everything in place and working. Then there’s always the problem with fly-by-night apps. File handling is very different. You can’t just download files and then open them like you can on the MBA. You need special apps can still encounter problems. If you do a lot of research and need to grab things here and there, think carefully about going with an iPad. I use Scrivener for my longer prose. No iPad version. Deal breaker. The current MBA line is more durable than the iPad line. This can, of course, be mitigated with a good case. Connectivity: You get 1 lighting connector with an iPad 2 (retina display). The MBA has 2 USB and a lighting port. There’s probably an adapter/hub solution for the iPad but that means more stuff to lug around. If you are an island unto yourself, this probably isn’t a problem. MBAs have experienced problems with their flash storage in the past (I never had a problem). My solution is to use DropBox (rather than iCloud) to sync all my WIP documents. Time Machine backs up everything when I’m at home. I’ve reloaded the OS remotely and it worked fine. I have a bootable backup on a thumb drive in case everything goes oval. After 2 years, I love my MBA like my boyhood hound. Keith, were you ever a PC user? If so, was it a big deal to switch over to Mac? ( You sound pretty computer savvy. 🙂 ) Every Mac user I’ve talked to loves their products. For a new user, do the tutorials help? Dianne, I was a programmer & IT manager for 24 years so I’ve worked on both platforms. There is some adjustment – location of files, system settings, keyboard shortcuts, etc. – but you should make the transition quickly. Get one of those “The Missing Manual” books from David Pogue or something similar and you’ll be fine. Thanks Keith! I’ll track David’s books down and get to work on them this weekend. Very much appreciated your advice! Well, I would like to have a MacBook Air but alas, it doesn’t come with a 27″ screen. 🙂 I don’t quite agree that it’s “moving up” because iPad and MacBook are differently purposed from the design level up. It would be like comparing pears with oranges (since they’re both apples LOL). I’m old school and I like my keyboard when I work on my WIPs, but I also like my iPad for reading and keeping up with the publishing industry. Plus, my Mini fits into my purse when I’m on the go. My iMac doesn’t. Having said all that, again, I would love to have a MacBook Air. If only Apple produces a 17″ version. Well, I’ve got that 27″ screen sitting on my desk, and that’s exactly why I choose the smallest Air. And I still love the iPad for tasks like mind mapping, but its various limitations do wear after a while, and from a user’s point of view, although they are “differently purposed” I just swapped one mobile device for another. Good point about going with the smallest Air bc you already have a big screen at the office. Hmm… perhaps I won’t bemoan the missing 17″ Air, and reconsider the 13″ instead though it doesn’t have retina display. TQ for the food for thought! I’m still a PC gal, but I do have an Air. And I agree, its much easier to work with than a tablet, and a lot more fun to carry around. I find I must save to the “cloud” in order to save the small HD space, but my biggest complaint about the AIR is that MAC doesn’t have a e-reader for it. I have to download a Kindle or Nook app to read books. A serious mistake by Apple in my opinion. That said, I appreciate the 7 second startup time. Hi Barb, thanks. Cloud storage is a boon for anyone traveling or using mobile devices which are much more prone to loss or damage than stationary desktop machines. I got used to using lots of cloud services with the iPad, and keep very little content stored on the Air itself. Have you tried the iBooks app? That’s Apple’s ereader. That article takes me right through the questions I have as an iPad 1 user. Some of the drawbacks for me are that I cannot download to WordPress the photos from my iPad or the piece I wrote in Pages or Writer. I find that amazing, as the material is on the same iPad. Otherwise I am very content with it. For long pieces I have a separate keyboard specific for the iPad, wireless. My desk top PC had it pretty much, so yes, I was considering the Air laptop as well. You convinced me. I’ve got a Macbook Pro 15″, which is about 6lbs, and I really want an Air simply because of the travel-friendliness. If I didn’t need the extra screen real estate and graphics power for design work, I’d switch in a second. Also, as it has been said, Scrivener is on OSX and not iOS (for now). That’s my writing program of choice. Hands down, the most useful software I’ve ever bought for writing. Even if it were on iOS, the trackpad and keyboard would keep me sold on on the Air. Joel, I have the iPad 3 and love it. I wrote my first book on it in fact. Whenever I have a doctor’s appointment or I’m meeting a client at a cafe, I bring my iPad and work until a nurse calls me or a colleague arrives. I love the fact that I can be productive while waiting. I know that Guy Kawasaki recommends to writers that they purchase the MacBookAir and I’ve considered it. But first I need to give up on my PC and purchase an iMac. I’m looking forward to that day! Hi Frances. Yes, the tablet is an endlessly useful device. Didn’t know that about Guy, but I can see why he would recommend it. Because I work on iMacs at the office, the connection is pretty seamless, and I’m going to bet that once you make the switch, you’ll never look back. Hi Joel, you are right! After a few months of PC to Mac adjustment period, I thought it was the best decision I made. I’m researching the best app for writing my journal and blogs in both Japanese and English. And in the future, I will make it in one book. Looks like Scriber has many language options, so, I guess I found what I want thanks to your blog. Do you think we can use Scriber app for documenting the mind mapping processes? Or I should consider a tablet, such as iPad Mini or iPad? I want to carry only one device when I get out of my home office. By the way, I think I want to read eBooks with my MacAir from now on. B&N guy said, “It is hard to find other country’s raw and regulation as well as what format other countries use for eBook publication.” What format would you chose for your ebooks when you know your readers are in EU, Asian-Pasific, and more…basically all over the world? Aya, the ebook formats are determined by the ereader that people will use to display them. So for the Kindle you need a Kindle-compatible (“mobi”) file, while for other readers you need ePub files. With a Bluetooth keyboard, the iPad makes an excellent choice, and there are some great mindmapping apps for it, too (I like iThoughtsHD). I still really want a MacBook Air, especially because I am a Scrivener devotee, but the one failing of the 11″ in my eyes is the short battery life. That’s the huge advantage of the iPad for me. I had a 1st gen iPad and upgraded to a 4th gen in January, and both of them last for freaking ever. I love knowing that I can take my iPad pretty much anywhere to write and not even need to take my charger. Agreed, Jessica, that’s the one big tradeoff with the Air. In three years of working on the iPad just about every day, my charge ran out once, and I rarely paid attention to it. On the Air, you have to be aware of your charge situation all the time. But I can work on my Scrivener projects anywhere now, a great tradeoff for me. Loved your article because I went through a decision several months ago and chose the MacBook Air 11″ over an ipad setup. The Ipad looked tempting (largely due to price). Like you, I don’t play video games. Watching videos is nice, but not how I usually spend my computer time. I have an electronic reader that doesn’t tire out my eyes with backlighting. More than for any other purpose, I needed a portable writing tool, and I enjoy the OS of a Mac at home. I use Scrivener software on both, and am anticipating purchasing their new idea-mapping tools in the near future. Knowing the “majority purpose” for a technological tool really helps clarify which suits a person best. Since I have the desktop available, the larger screen of a 14″ (and the added expense, weight, etc.) didn’t seem to suit me. There are times I feel the text is squashed on the 11″ size, but the portability more than makes up for this. On advice, I did pay for the greater memory capacity. So far, I love it…as long as I can keep it out of the hands of my kids. Oh, good luck with those kids, Elizabeth, I know exactly how that goes. When I was shopping the 13″ Air was attractive, and I wondered if the screen on the 11″ would be a bit claustrophobic, but happily I’ve found it makes little difference since most of the work I’m doing is writing, editing, and blogging. I don’t know about Scrivener’s idea-mapping tools, but I’m a constant user of mind mapping software, the best organizational and idea-generating tool I’ve found so far. Joel, I’ve been an iPad user since the first one came out. Now, I have the 3rd generation iPad and love it. Like you, I’ve used the iPad for everything, including writing and reading while traveling. It does have limitations — particularly when dealing with WordPress or editing documents (no commenting/reviewing features in the iPad version of Pages, for example). And I’ve been stuck a couple of times, away from home and unable to accomplish something important without an actual computer. Recently, I bought a Macbook Pro — a little larger than the Air, but with more processing power (I am also a photographer and needed the extra boost). Anyway, I love my Macbook Pro, and now travel with both the iPad and the Macbook. The thing is, when there is no WiFi, I can still connect to the internet with my iPad (cellular data). There are lots of places that do not have WiFi, so the iPad has been indispensable. I still use it for reading and writing … as well as my Macbook Pro. They each have their place. That’s great, Amber. I’m resisting the impulse to travel with both devices, but I can see why you would. And you have also reminded me of one of the undisclosed reasons I’m so pleased with my Air: I can now take my Scrivener projects with me to work on! That was frustrating with the iPad, since I’ve started using Scrivener more, partly due to your excellent tutoring. I was a PC user until 15 months ago when I switched to a MacBook Air. OMG! I’ll never go back! I write, edit, LIVE on this laptop. I’m a freelance editor, and with Office for Mac, I can (and do) edit anywhere I go. I carry it in my purse–yes, it’s THAT portable. Congrats, Candace. I still have a Windows box sitting on my desk and I groan a little every time I have to fire it up. Okay, I’m a total Apple fanboy, but I’m happy about it! I switched from an old, really heavy Mac laptop to the MacBook Air last September, when the old computer died. I’m really happy with the Air. Lugging the old computer through airports was awful due to its weight. Plus, I’d been delaying updating some of my software, and that was impeding my workflow. When I bought the Air, I bit the bullet and plumped for some necessary (and expensive) software. I’m so very glad I did. It removed many avoidable frustrations from my workflow. Thanks for the comment, J.M. What I’ve been enjoying about the Air, besides its ridiculously light weight and small size is the ability to take the programs I rely on with me. Old news to veteran laptop luggers, but new for me.